Our selection of integrated Venetian blinds sealed units offer homeowners the ultimate in convenience and functionality, being an ideal way to adjust the light and heat levels that enter the space without any kind of hassle. Operated via the use of an external mechanism attached to the internal face of the window or door, enabling the user to regulate their desired level of both comfort and privacy however they choose. Opting for Integrated blinds that are hermetically sealed within two panes of glazing, removes any maintenance that would otherwise be required with a traditional set of blinds, allowing you to more easily relax and enjoy your home without any hassle. 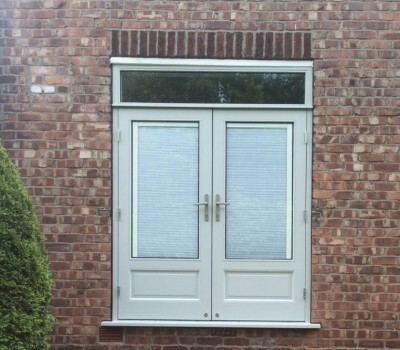 Although a lot of an integrated blind system’s appeal comes from the ability to adjust privacy levels to suit the homeowner, those provided by Reddish Joinery boast slim line slats so that when opened, the blinds still allow for panoramic views of the outside as well as letting more natural light in. 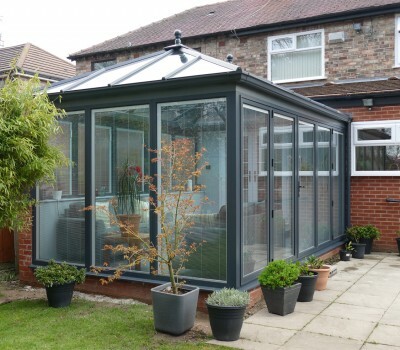 This system can be applied to many door and window styles, easily fitted for your ultimate convenience. As well as a sleek and clean aesthetic, integrated Venetian blinds from Reddish are significantly less likely to become damaged because they are less exposed to the elements. Acting as a seamless integration within the window, the unit is also much more easy to clean, never needing dusting to not get in the way of any other maintenance. 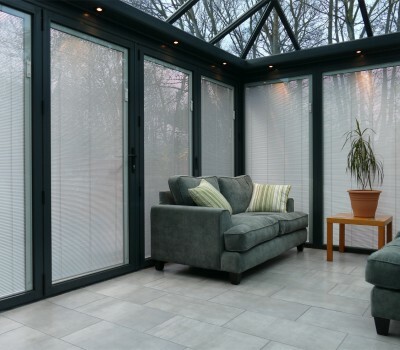 Why choose integrated blinds from Reddish? 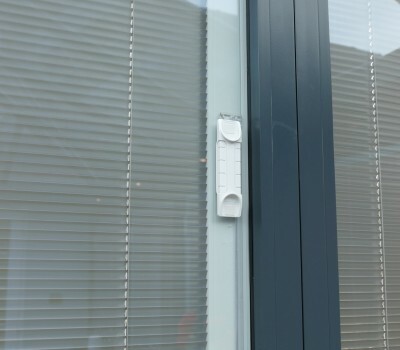 Our range of integrated blinds are available in three different configurations: manual (cord or slider), mains powered or solar controlled systems to provide homeowners with operation that never feels like a chore. With a choice of 9 different colours and enhancing the energy efficiency of the sealed unit, our integrated blinds not only look great but perform well too with great ease of use. Allowing you to control the amount of light and heat gain in a room, we can incorporate a cleverly-designed magnetic slider within our integrated blinds in order to tilt, raise and lower the slats specifically to your tastes. Using a simple up and down operation, the system meets the EN13120 standards required for child safety.